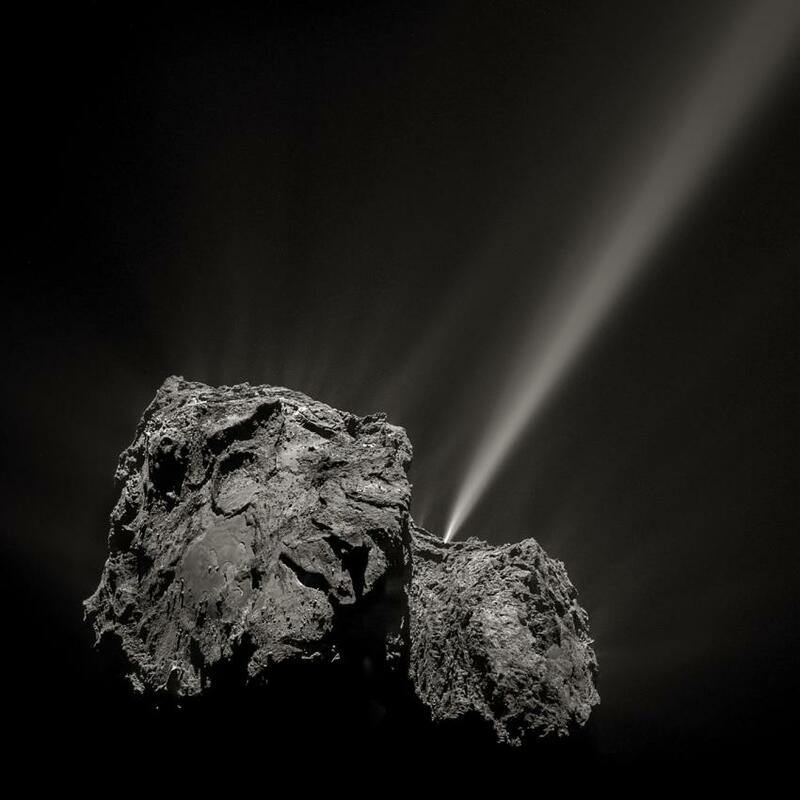 Book launch of "La Comète, le voyage de Rosetta"
A photographic dream, "The Comet, The Journey of Rosetta" takes us into space aboard the Rosetta spacecraft and plunges us into the incredible story of this mission led by the European Space Agency. A ten-year trip told through B&W 150 photographs. The book launch will take place at the bookstore La Comète in Paris on Tuesday, April 9 from 6:30 pm, with Jean-Pierre Bibring, author of the book and astrophysicist, responsible for the lander Rosetta. An installation of photographs taken from the publication along with a selection of books and limited editions from the publishing house will be presented for two months. Photographic installation through June 9. Photograph : View of comet Tchoury.